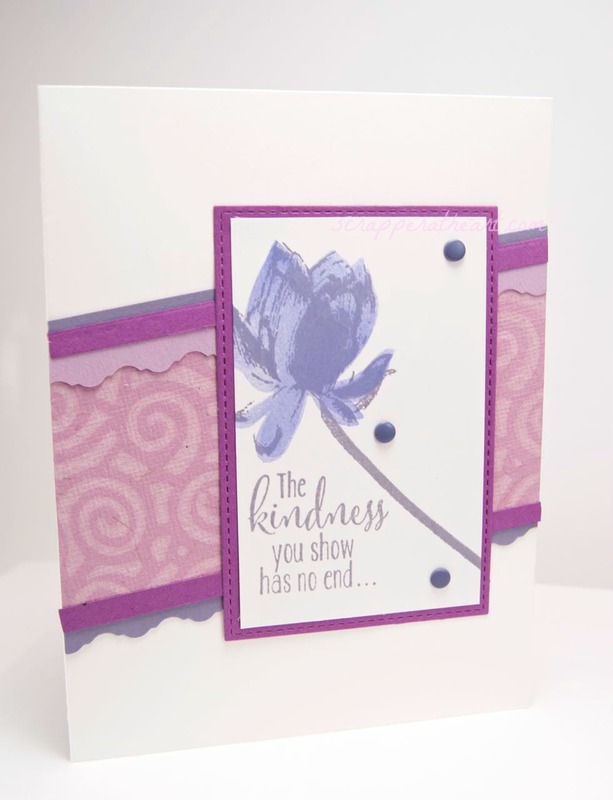 Hello Friends, I had the chance to get creative this weekend, as my stash of cards is so depleted, and I came across this great sketch over at Freshly Made Sketches as my starting point. I also hadn’t had a chance to get my new SU stamp inky yet. It’s called Lotus Bloom and I really LOVE it! I am sure you have stumbled upon it somewhere, as it seems to be the newest and coolest from SU. I was having so much fun that I decided to make 7 more…LOL. 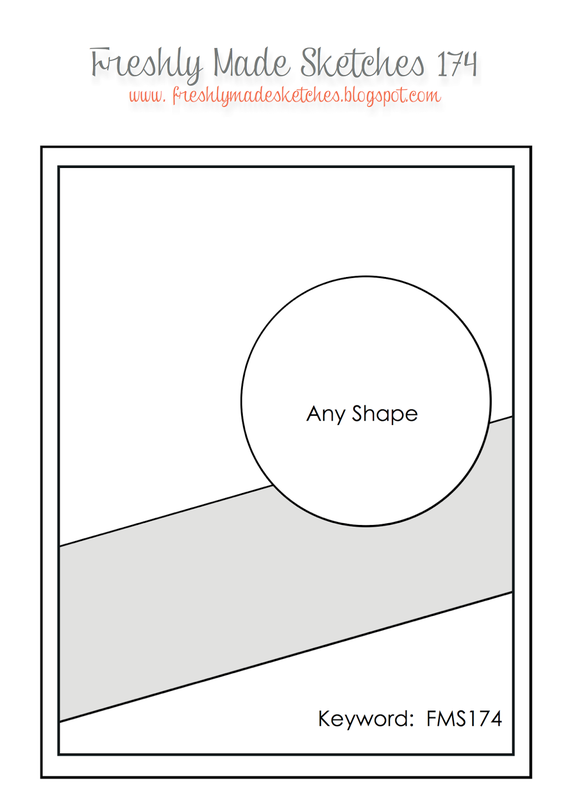 Here are the other two that go with this color scheme…I will share the others very soon! I have decided that it’s time to make more CAS cards, and I must say I do enjoy them very much, they use to intimidate me quite a bit. On the above card I used my MFT stitched rectangles and my Fiskars Victorian blade to layer some paper for added interest. The DP is from Provo Craft. On my second card, the butterfly is from SU called Papillon Potpourri and the Embossing folder is from SU. The sentiment is Verve’s Circular Sayings. On the last card, the embossing folder is from Elizabeth Craft Designs, I used my MFT stitched rectangles again, and the sentiment accompanies the flower in the SU Lotus Bloom set. 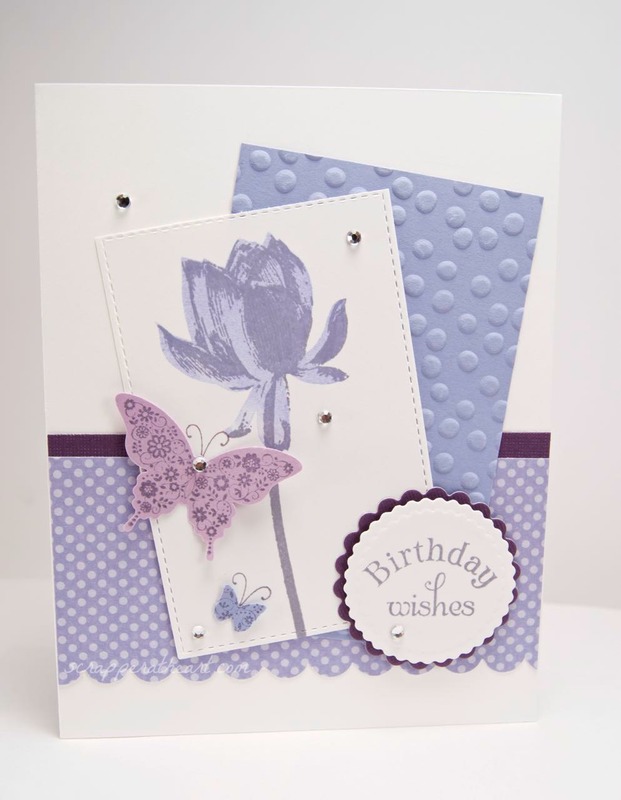 Categories: Cards | Tags: Card making, Cards, Happy Birthday, rubber stamps, sketch challenge, stamping, Stamping Up, Thank you card | Permalink. Beautiful cards Nancy. I love your color combos and design of each card. I have that stamp set, but haven’t used it yet. You have inspired me to pull it out. These are absolutely lovely, Nancy. My post today had an extra card and I’m hoping to continue that trend so I can get more cards made. We might as well as long as the supplies are out. 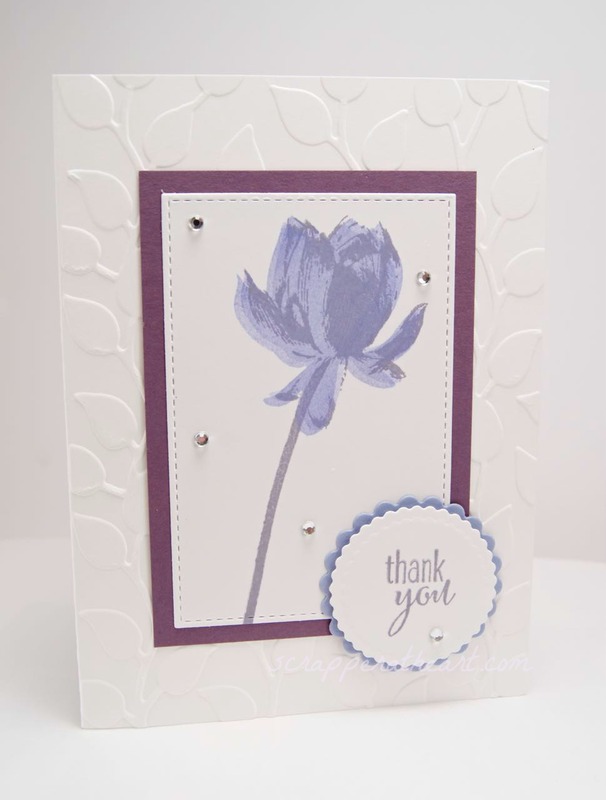 That is a beautiful flower stamp as are all your layered papers. These are all so pretty! I love the bits of texture you’ve added to each one. Thanks for joining us at Freshly Made Sketches this week! These are really pretty! The purple is so great on this flower. Glad you joined us this week at FMS! These are really beautiful, loving that torn edge look border and soft colors!